Doctors call these long-term sufferers “expert patients” and the advice they gave was vital in my initial stages of PVF/CFS. I will summarise that wisdom below in the hopes that it will help many more. It is important to remember that no two cases of PVF/CFS are the same. This is one of the main issues scientists have in figuring it out, there is such a vast spectrum of severity, causes, triggers, symptoms, and apparently also various means to recovery. Basically, what works for one person does not work for the next and that is why there is no established treatment for patients – yet. Fortunately there are some characteristics of these conditions that are common among all patients, they are the main symptoms, so we will focus on those. We will look at how you can manage your condition in a way that will hopefully shorten your recovery time or at least stop you from deteriorating. I will also link to some helpful websites where you can find out more. I will use the terms ME/CFS or PVFS below, it will become clear why I make the distinction later. Most people I’ve spoken to had some sort of viral infection initially, though this is not always the case. There are also usually high levels of stress involved and a very full and busy life. 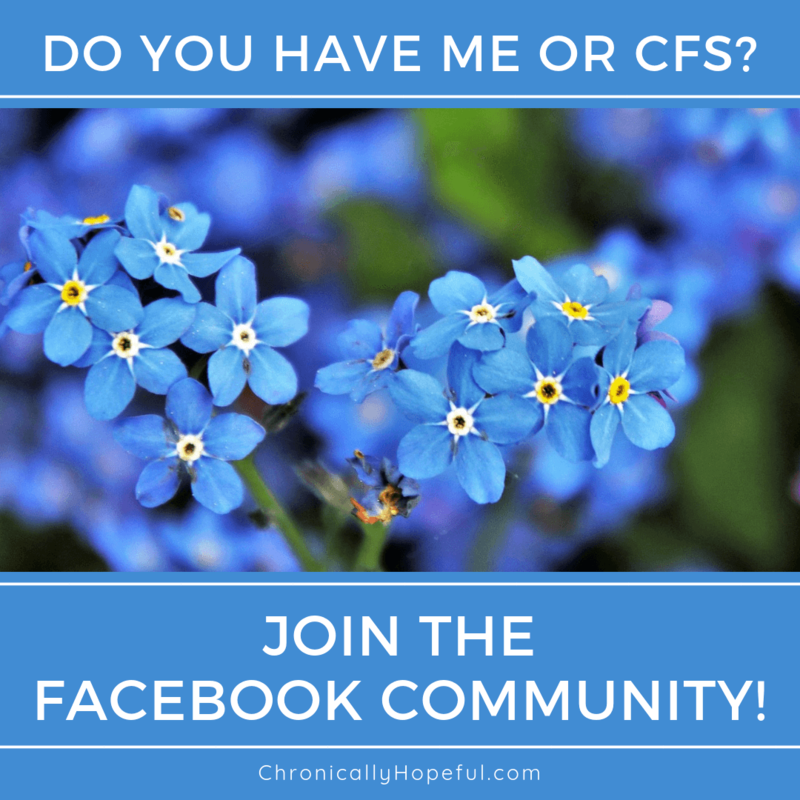 People who love working hard and playing hard, high achievers and perfectionists, these are the type of people who most commonly get CFS. Very different to the general stigma that people with Chronic Fatigue Syndrome are just tired or lazy. Quite the opposite! You will probably feel drained and exhausted. Weak and unable to perform at your usual standard. Many people can’t go out, they worry about the time they are taking off work, and are frustrated that they cannot do the things they need to or want to do. You might feel better one day, do more and then feel terrible either straight away or for days afterwards. Doctors in the UK have a set of guidelines to help them diagnose Chronic Fatigue Syndrome. They are currently under review, but unfortunately it’s likely to take a few years before the new guidelines are implemented. All other possible diagnosis have been excluded. Symptoms must be persistent for at least 3 months in children or 4 months in adults (but many doctors will wait 6 months). There is not yet a test they can perform to accurately diagnose the condition, so they have to diagnose by process of elimination. They will need to know all your symptoms and test you for any illness that might produce these symptoms in order to rule them out. This means extensive blood tests for viral infections, hormones, deficiencies, infectious diseases, STDs, auto-immune conditions and can also include referrals to specialists for more testing (neurology, rheumatology, etc). Chances are, if you have ME/CFS, they will tell you that all your tests came back normal or healthy. This can be relieving in some cases, but sometimes it can be hard to hear that nothing can be found while you feel like you’re dying. Taking somebody with you for support when you have these tests done will be beneficial, not only for emotional support, but outings and having blood taken are both taxing on your system and you could end up much weaker on your journey home. I was later also sent for psychological assessment at a Chronic Fatigue Clinic to confirm I wasn’t imagining things – they confirmed the diagnosis and took me on as a patient. Chronic Fatigue Clinics are not common and waiting lists are long, I waited about 6 months before my first appointment. A lot can go wrong in that time if you do not have the correct information, that is what this blog post is about. Please know that no matter what they try to make you think, it is NOT all in your head, you know your body, it is a very real illness! If you feel like your health care provider is not taking you seriously and making you feel like you’re wasting their time, please find another doctor who will listen to you and take time to investigate. Be your own advocate! Once all avenues have been explored, all tests have come back negative, all the NICE guidelines have been met, then a diagnosis of CFS can be made. Until then, it is likely that you will get an initial diagnosis of Post Viral Fatigue. The hope is that the PVFS will go away after a few weeks or a couple of months with the correct management. It is at this point that you will need to start taking care to implement the things I will mention below. It is vital to accept early on that the main characteristic of PVF/CFS/ME is Post Exertional Malaise (PEM). This means that any exertion, any activity, any emotional excitement or stress will cause your symptoms to get worse. It might happen immediately if you are already overdoing things consistently, but it might be delayed for up to 48 hours, so it is important to monitor your symptoms and take note of which activities make it all worse. PEM can be compounded or accumulated over time and then hit you like a ton of bricks unexpectedly, or it can happen after each and every activity you attempt. This is why it is important to listen to your body from the beginning. If you find any activity to be exhausting, then you need to cut back on that activity. Delegate. If any activity causes any of these symptoms, then you should cut that activity or delegate it to somebody else. You need more rest! Unfortunately, your GP cannot really do much for you. Science hasn’t figured this condition out yet, they don’t know what CFS is or why we get it, so they cannot treat it. Yet! There are many exciting studies happening at the moment and they have learned quite a bit recently, so that is certainly a reason to be hopeful about upcoming breakthroughs! Until then, your doctor is probably feeling just as frustrated and helpless as you are. They can prescribe medication if you are in pain or having trouble sleeping, and if your condition is causing anxiety or depression, then you need to discuss this with them too. They can certainly help you with that. Although your doctor can only help you to manage your symptoms and not the underlying cause, it is important to keep them updated on your condition so that your files are up to date and they can investigate anything that troubles them. Your best bet at improving your chances of a faster recovery is to listen to your body. This means that although you initially will want to push though and do your usual amount of chores and self-care activities, go to work and grocery shopping as usual and just be annoyed with your body for needing to rest afterwards, you must resist that urge! PVF/CFS does not work that way. The more you fight it, the stronger it gets. So you must slow down, take breaks, and be aware of any increase in symptoms after any exertion. Rest between activities throughout the day. If an activity is more than a few minutes, break it up and have a sit down or lie down between. Remember that even sitting upright is an exertion for your body, so sit back and relax properly with back and head support, preferably on a sofa or in bed. People with PVF/CFS have heightened senses, you might not be aware of it initially, but this will become more evident and invasive if you keep pushing. The ideal spot to rest or recover from exertion, is a quiet, darkened room away from other people. Retreat to this spot regularly throughout your day. Try not to stress over work or chores and other responsibilities you can no longer commit to. I know it’s hard, but there should be systems in place for these situations at work, and you must explain to your family and friends what is happening to you now. Avoid negativity and focus on things and people that bring joy, peace and order to your life. Structure and routine are good, and this includes scheduling time for you to be alone and rest. Right now you need to focus on your health and stress absolutely will make your symptoms worse. Your focus has to be on resting to give your body the best possible chance of recovery. This is often one of the hardest things for people with CFS. You should slow right down, literally do things slower. Choose activities that are low exertion, don’t rush and delegate tasks or chores at home so you have less on your plate. Maybe it’s time the children, and certainly your other half, learned how to cook or pack the dishwasher or do the laundry. Whatever they cannot manage can be left for another day. Focus on what’s vital, rotate the other chores. The same goes for things like taking a bath or shower, they are extremely exhausting and are not vital to your survival, so skipping a day or two will be fine. You will learn how your body responds to each exertion. Listen to it. We have touched on this earlier and it really does affect you more than you think. Be aware that noise, bright light and crowds or movement will also negatively affect you now. So if you are still working or have people around at home, make time to retreat to that quiet spot and give your senses a rest. It really does help! If anything causes an increase in symptoms (weakness, exhaustion, shaking, pain, cognitive dysfunction, etc) then you should cut back or avoid those activities, pass them on to somebody else. Just listen to your body. Remember PEM can be delayed, so you might only realise it a day or 2 later. Take action immediately to rest and recover and take note of which activities or combination of activities triggered the flare up. To minimise this PEM/payback, I suggest resting after each activity for at least an equal amount of time as the activity you completed, but if you’re still feeling weak or shaky, then take as much time as you need. Most people do not pay enough attention to the importance of what you put into your body, but many people with ME/CFS or PVFS find it beneficial to switch to a low carb way of eating. These diets (lifestyle changes) are helpful because they are anti-inflammatory and eliminate most processed foods and additives that we tend to consume these days and this helps the body heal and reduces pain and other symptoms. The most common diets used are the Paleo, Keto or Stone Age diets. I have personally used the Paleo and Keto ways of eating and have had great improvements, you can read about that here. I totally understand how emotional it is when you find others who understand exactly what you’re going through, that is why it is important to stay connected with a community or group of people who understand and can support you like other healthy people can’t. Please get in touch if you need support, I will gladly help you or point you in the direction of somebody else who can (contact me). Not knowing is frustrating! I remember before my diagnosis, each time they tested something new and the results came back negative (healthy), I would just cry uncontrollably! A big mix of disappointment and relief. Disappointed for no answers and relief that it wasn’t something serious they tested me for. The problem is that many healthy people rely on a diagnosis, they have immense trust in our medical system and aren’t aware that science has yet to catch up on a lot of things. They might think no diagnosis means no illness. You might find some people won’t believe you are really ill and others will just not know how to be around you anymore. Illness makes people uncomfortable, but you are not alone! There are millions of us worldwide who are going through the exact same thing. Reach out and find people who will support you, believe you and help you. They are there, but they will need to be told that you need them. Don’t hide your struggles and your pain, let people know, even people you don’t consider to be close friends, in my experience help comes from places you least expect it to, and not from the places you were certain it would. Can’t find a doctor who will listen? It’s not easy to find doctors who are familiar with Chronic Fatigue Syndrome and the latest scientific findings on it. If you’re struggling to find somebody to take you seriously, there is a new global online system set up by a doctor in the UK who specialises in treating PWME (people with ME). It links patients internationally with health care practitioners worldwide. It was specifically created with housebound patients in mind, so you can even have consultations over Skype or Facetime. You can read about it here. You will know when something isn’t right in your body. Make sure they investigate to rule out other issues. Trust your instincts! You know your body better than they do, and you are NOT imagining this! This is not your fault. You have no reason to feel guilty or ashamed and those negative feelings will only make your condition worse. Now is the time to love, nourish and treat yourself. It’s time to focus on rest and healing. Your body is fighting daily to keep going, do whatever you can to help that process along. Taking care of yourself isn’t selfish, it’s necessary. Open Medicine Foundation – one of the most exciting research programs, stay up to date and don’t lose hope! I hope this post has been helpful to you, please do get in touch if you have any more questions. Are you an experienced patient? If you have any tips to add to this list, please share them in the comments below or link to your blog post about it, lets help our newly diagnosed friends get the best possible chance of recovery by learning from our mistakes and victories. Hi! Thank you for your comment, I’m glad you have found this post useful. Sorry you could relate to so much of it though. Isn’t it ironic how we suffer from chronic fatigue and yet we have trouble sleeping? Have you found anything to help with your sleep issues? I am still struggling with sleep and my biggest battle is making sure I have enough pain meds to keep the pain manageable to sleep. My biggest trap is waking from pain and then trying to push through the pain to go back to sleep and not sleeping for hours. So now if I look at the clock and my meds have ‘run out’ in my system I just grab something to tide the gap. Just as I accept my new normal it keeps changing and getting worse but my slee is improving a little. I find the saddest part is in the day I fall asleep at the worst times and it’s usually because when the pain starts to get bad my brain tries to shut down and get away from it. Then I wake up in agony as the pain has had a chance to take hold again. I’m so sorry to hear of your struggle, Zoe. Sleep reversal is very common for us, you are not alone. I have written a post about how I reset my body clock everytime it goes into reversal like this. It is worth a shot if it might help you get into a regular sleep pattern. I have also shared a post about how I have reduced my pain levels dramatically using MSM and another about how the ketogenic diet has reduced my pain levels too. I know it’s different for everybody, and I didn’t expect any of those things to work, but I was desperate and tried them – they actually worked for me! So that’s why I share them. I hope you will find something that helps you too. Sending hugs. Thank you for this sight it has been very helpful, especially in feeling I’m not imaganing my symptoms.